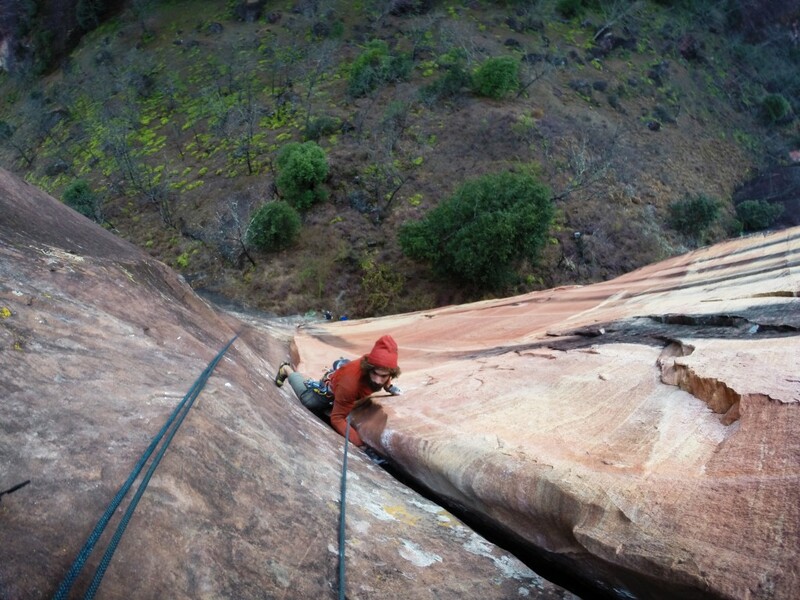 Luca Schiera introduces Liming, the famous trad climbing area in China. The Italian alpinist and member of the Ragni di Lecco club visited the area together with Paolo Marazzi in November 2014. Li Ming, meaning “dawn” in Mandarin, is a small village situated at 2100 meters above sea level surrounded by the high mountains in China’s province of Yunnan. The area is located within the Laojunshan National Park, a protected area in the SE part of the country. For some time now it has become famous among climbers for the red sandstone formations (called Danxia) that surround the village; these steep faces are lined by numerous vertical cracks that have made this the most important area for the trad climbing in China, and also one of the most important on the entire Asian continent. 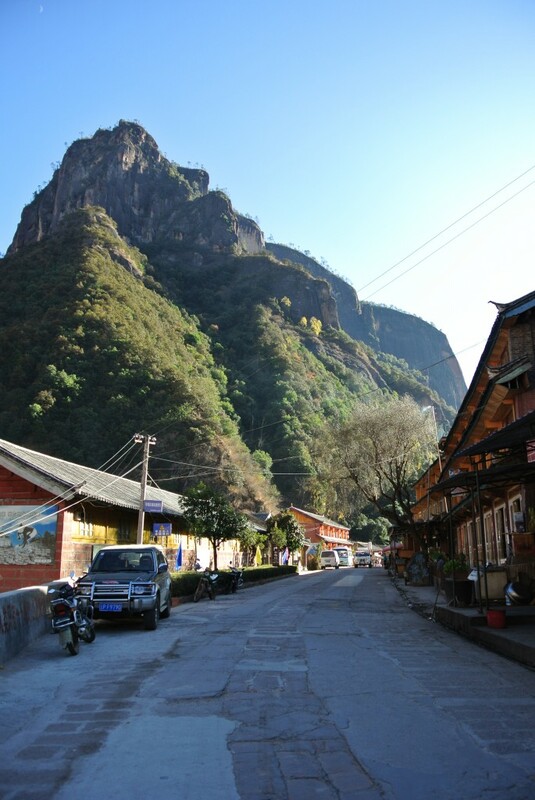 Climbing at Liming goes back a very long time indeed, hundreds of years ago the local population (Lisu, Naxi and Yi) built long wooden ladders to reach the bees nests on the walls to obtain honey (one of the local specialties). One of these ladders is still clearly visible in the central sector of Dinner Wall. 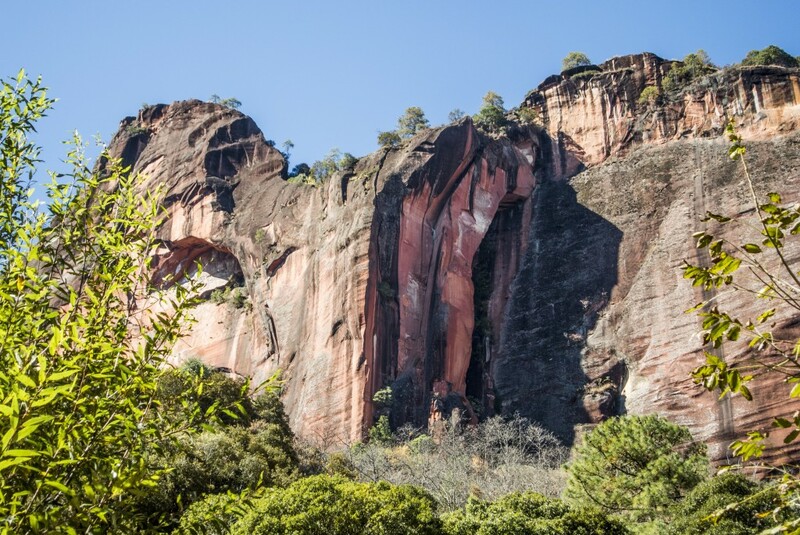 The first modern climbs date back to 2010 and where established by climbers from different countries. For the last two years a climbing festival has been held in autumn and this provided an important impetus to the climbing development of the area as well as the “trad” climbing movement in China. 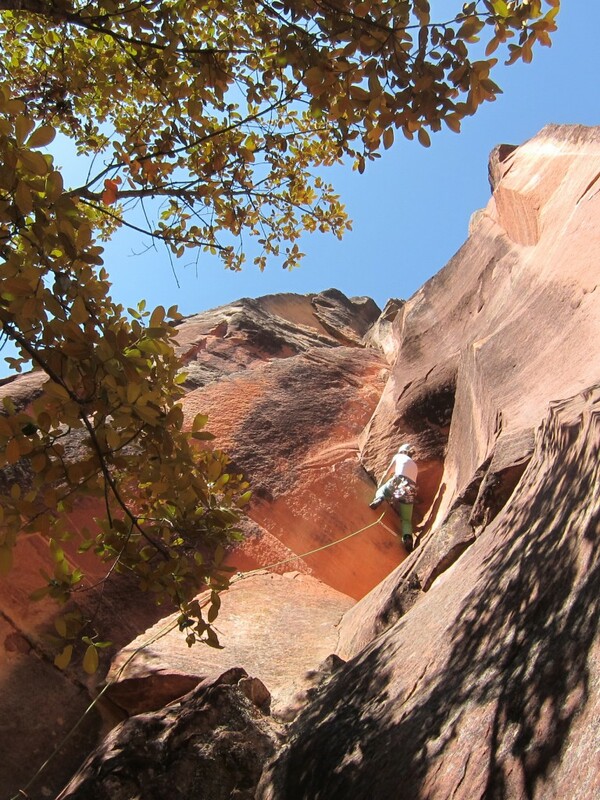 Climbing in these straight cracks has been compared to the most famous areas in North America and the climbing styles are the usual two: jamming and liebacking. 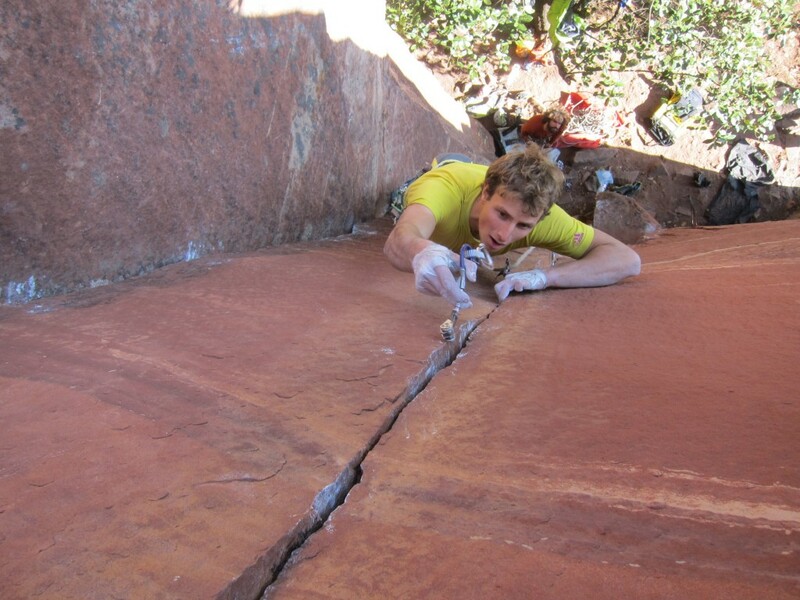 The difference, compared to those areas in N America, is down to the shapes of the cracks: at Liming they are less regular (sometimes the width changes as you gain height, and in some rare cases there is even the odd smooth hold here and there) but tend to be much steeper (the climbing is often more physical). 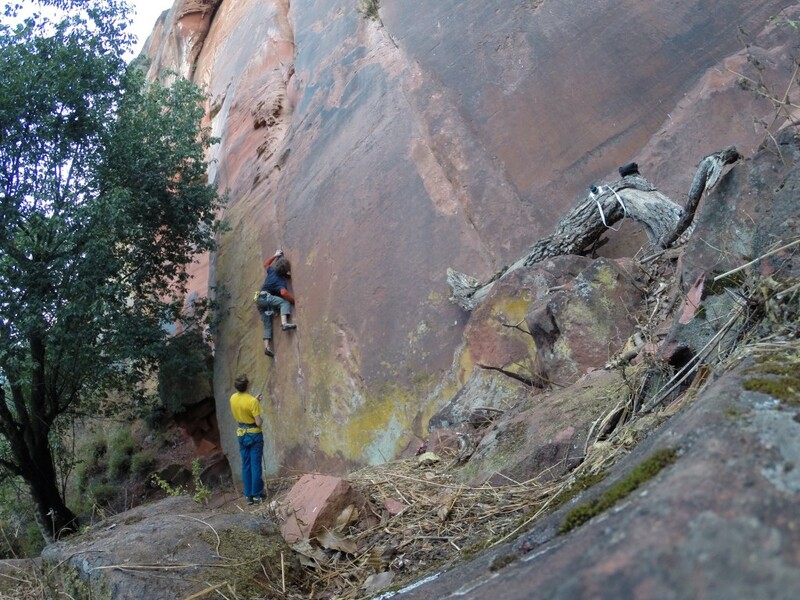 So far most of the routes are concentrated in the main valley and its side valley, meaning that there are still many virgin crack to be discovered and climbed. For those who wish to climb new routes, it is worth noting however that vegetation and sand needs to be cleaned off the new lines first. It is also worth noting that few cracks start at the base and go all the way to the top of the face without interrupting at half-height (and the faces are… totally smooth!). Sandstone, formed by sedimenting above a layer of conglomerate, still visible in some points. Over time due to various natural phenomena cracks were formed. Some walls were completely smooth, others are full of cracks. The quality of the rock can be recognized from a distance according to the three basic colors: black is generally the most compact, but also the dirtiest, full of lichen. Red is generally clean but soft, the cracks are deep and have clear-cut edges. Yellow one is similar to compressed sand. A well-placed friend or nut is bomb-proof. Take into account that a shallow placement might break the edges of the crack, and that small mircrofriends tend to slip because of the reduced friction as a result of the rock’s grittiness. Remember that wet rock can break easily and that too much brushing can damage the rock. If you intend place bolts, it is ​​fundamental you bring very long ones, those with double rods seem to come out more easily. Before or after the monsoon period, i.e. from October to April, with the exception of the coldest months (late December and January). There are many areas that face in different directions, meaning you can choose where to climb depending on the temperature. – Flight to Lijiang (recommended), then bus (50RMB) or taxi (400RMB) to Liming in about three hours. This option, slightly more expensive, can save a day’s journey. Climb China – Purchase from www.climbchina.net. This guide contains, in addition to the main sectors at Li Ming, some interesting areas in China such as Getu and Yangshuo. Planning a trip to include these areas (day’s drive from Kunming) is a good idea.